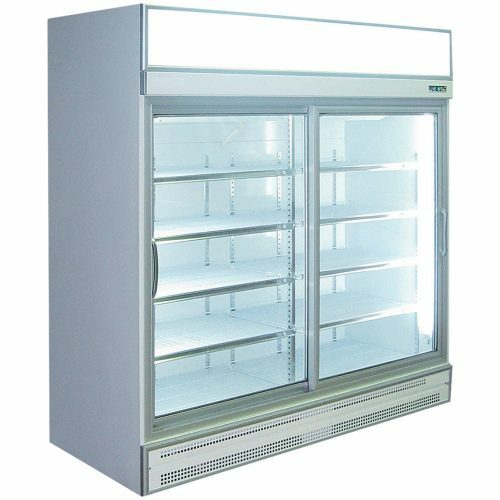 Commercial 2 Sliding Door Meat Display Fridge 1.2m White finish, These display fridges are perfect meat products, package small goods and meats. With LED internal lighting, they will give your product goods amazing display. They also will keep at your products at a +1c to +5c and these temperatures are fully adjustable if needed. The refrigeration system rated at a +40c ambient, they will work amazing in a busiest of shops. They come with self closing doors and heated glass doors to remove any condensation built up on the glass doors for a clear vision.